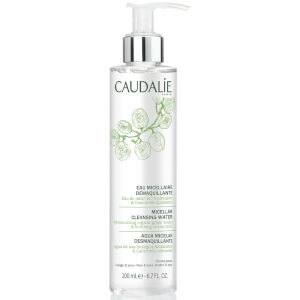 Suitable for all skin types, the Make-Up Removing Cleansing Oil from Caudalie effortlessly removes make-up, including waterproof. Its 100% natural formula is infused with a blend of oils, including sunflower seed, sweet almond and grape seed to deeply cleanse the skin, without stripping moisture or leaving a greasy film on the surface. Can be used to dissolve make-up even on the most sensitive eyes. Antioxidant vitamin E deeply nourishes skin and supports its natural barrier so you can experience a purified, refreshed and silky soft complexion. Apply 3 pumps of cleansing oil onto the palms of dry hands and gently massage into the face. Wet skin to emulsify cleansing oil, then rinse thoroughly with water. Helianthus Annuus (Sunflower) Seed Oil, Polyglyceryl-4 Oleate, Caprylic/Capric Triglyceride, Ricinus Communis (Castor) Seed Oil, Prunus Amygdalus Dulcis (Sweet Almond) Oil, Vitis Vinifera (Grape) Seed Oil, Tocopherol, Parfum (Fragrance). This cleansing oil smells nice and does remove face make up (ie foundation), but it isn’t great at removing eye make up and doesn’t really budge mascara at all. There are better cleansing oils on the market that are cheaper and work more effectively. Don’t think I would repurchase. This is fantastic!!! I first used it as a sample but then had to go buy the full size product. 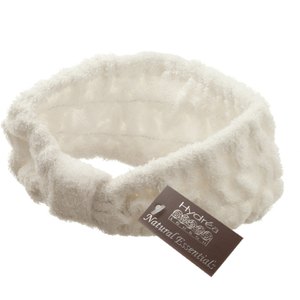 I love how you dont need to fuss with any cotton pads and just need warm water. The oil breaks down all my makeup and washes it all off. It doesnt make me break out or block my pores. Incredible! As step 1 of a double cleaning its OK. It also dissolves eye makeup really gently. Not fan of the make up removing products as most of them leave my skin sensitive. However, this product is quite nice and even you would expect it to leave some kind of oily feeling on the face is just the opposite. I have tried it by following the instructions but I much prefer to use it with a cotton pad and a bit of water. I've been using this as step 1 of a double cleanse and loving it. It melts through my makeup effortlessly whilst being unbelievably gentle, and it smells subtly of roses not oil. It's also not greasy at all which is nice, I don't feel like I'm slathering my face in grease/fat. I was worried that introducing oil into my routine would kick off my teenage greasy nightmares all over again, but the opposite is true. 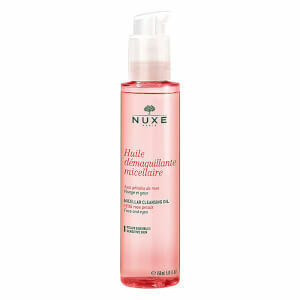 My skin, which was oily as a teenager and became combination-dry, is really balanced and incredibly smooth. Should've committed to double cleaning ages ago! I used the Caudelie foam cleanser previously and really enjoyed it so tried this one but it just doesn't seem to agree with me. The smell and texture are nice but the product has caused me to break out (which hasn't happened in about a decade) quite badly on my cheeks. If you have dry skin it will probably work for you but I found for combination skin it's not the best. This is an amazing makeup cleanser. Takes off everything. Even eye makeup really gently. Leaves the skin feeling very soft and removes makeup perfectly! doesn't leave a greasy film on your skin, but I do use this as my first cleanser. Scent is pretty strong but I don't mind it.